CONGRATULATIONS. Next we need democratisation of access of high powered learning to all who are passionate on a short term basis.Both for faculty and performers.Get the Principles and concepts then move on and apply. This creative uncomfortable disruption of the medical workforce will improve the Quality. SHAKE THE COMPLECENCY FOR PROGRESS IN MEDICINE. 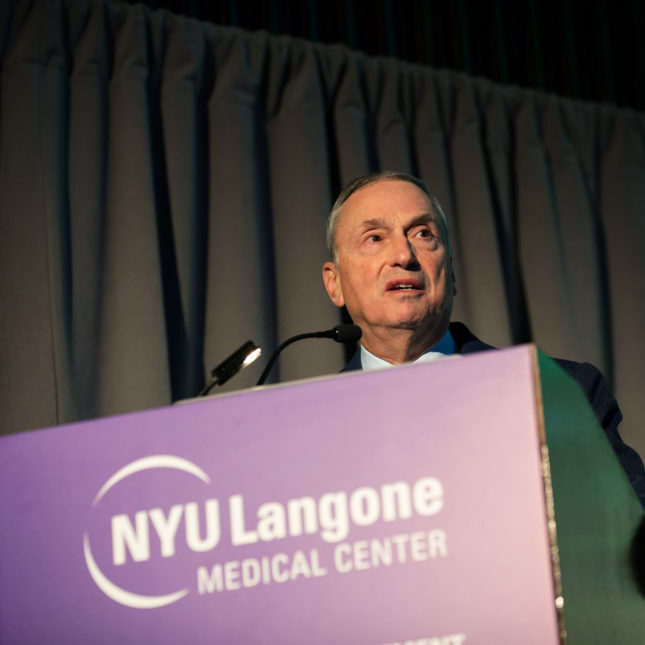 “Instead of asking what the country can do for you, ask yourself what you can do for the country.” This ideology is effective, and obviously alive and kicking, as proven by NYU Langone, Dr. Grossman, Dr. William Haseltine. And likely also by many others, not only in health care but everywhere. It is a spirit worthy of keeping alive and living up to, whether it is for country, or health care, or corporate entities, or other organizations large or small. This is THE way to operate successfully and efficiently, with the best in mind for patients / clients. And it is the polar opposite of the Nanny state “me first” attitude.